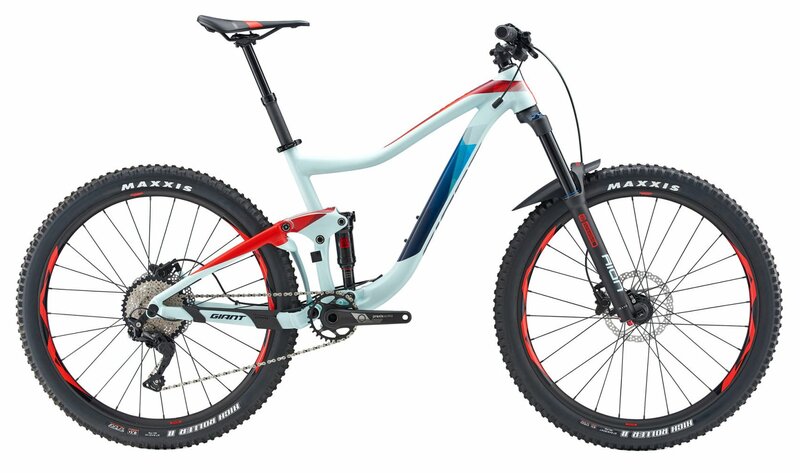 The Trance 3 features an effective Shimano Deore drivetrain that provides an effecient 10-speed gear range that will allow you to spin your way up the climbs. 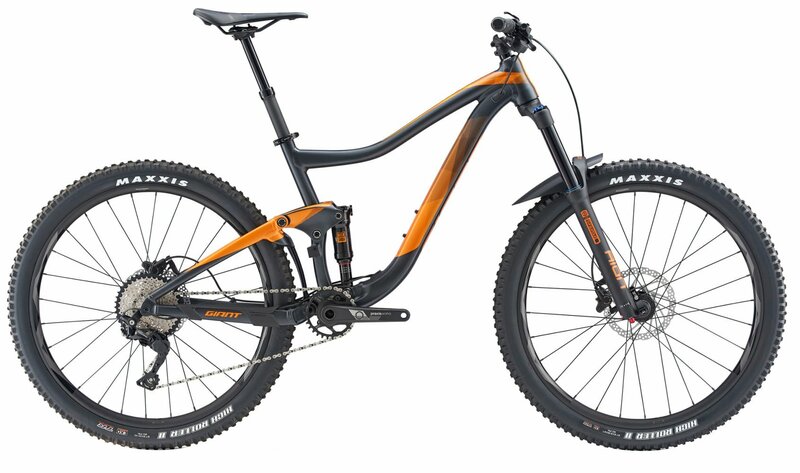 The Suntour suspension fork keeps you in control by smoothing out the trail chatter and sucking up the bigger hits. A Giant wheelset wrapped in Maxxis rubber supply you with all the confidence needed to tackle demanding terrain with authority. When it comes time to slow things down, Shimano hydraulic disc brakes will get you stopped on a dime in any condition. Topped off with a Giant cockpit, the Trance will have you leaving your riding buddies in the dust. Suntour AION fork with 150mm of travel. Shimano Deore drivetrain with 1 x 10 gearing. ALUXX SL grade aluminum with updated geometry.